I have used two dies by Sue Wilson - the smallest Provence ones and part of the French collection border as the corner. The flowers are Spellbinders Layered Poinsettias and Rose Creations. 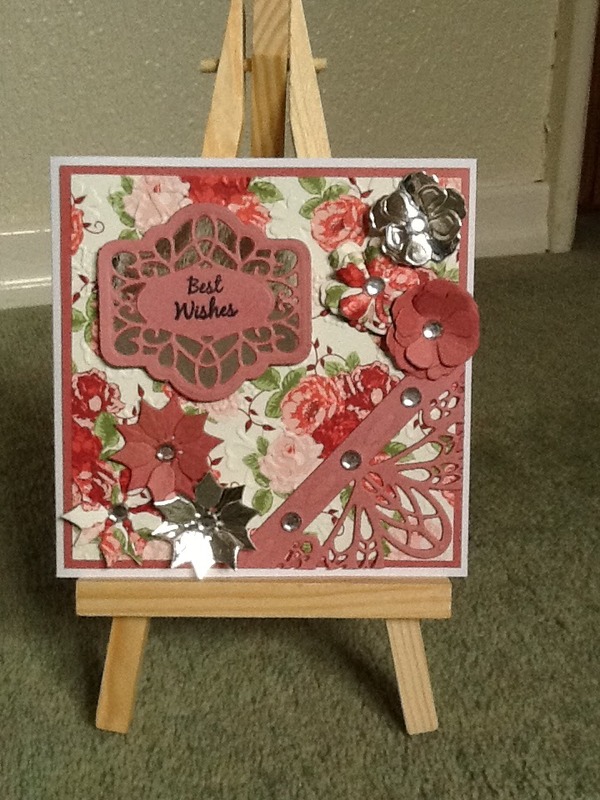 I cut the flowers from some silver card, pink card and a leftover piece of the background paper. Clarity challenge 33 Clean and Simple.